Cheaper Car Hire for Bodo Airport. Compare lower cost rental rates for Bodo in Norway. 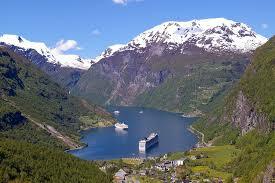 Book cheaper car hire for Bodo Airport in Norway with us today. If you need something like a estate, SUV or minivan, then we can also help you save money. You can choose from the usual suspects Budget, Avis etc here, with all the main companies discounting their prices to encourage you to make you book early. Our car hire at Bodo Airport (IATA code BOO), comes with a large selection of cars and utility vans for hire. Costs average EUR15 per day and that includes airport surcharges, VAT, and road taxes as well as unlimited mileage and full insurance with a deductible. Why not save time and let us find best prices for Bodo Airport. Please try to book early as vehicles do sell out and prices normally usually only go up. We have a wide choice of of fuel efficient green cars with full safety features, that include airbags and ABS. Please book early. We do not charge should you need to change dates or car size should the number in your group be large. Don't be a Dodo, book your vacation auto for Bodo here. SUV, MPV and minibuses, all at lower rates. 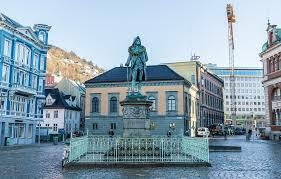 Book discounted vehicles for Bodo and throughout Norway. The IATA code is BOO. If you are in a rush, but need to do some shopping, try the kiosk beyond security. It offers fresh coffee andbakery goods, plus a small selection of gifts and travel related items. Essential Information for Bodo Airport::- Be aware it is a silent airport, with no verbal announcements, so keep a careful watch on the overhead displays for any flight changes. Strangely enough, the first runway was built by the British during the Second World War. Before then, is was only served by flying boats. A claim to fame is that it was used for testing the Concorde supersonic airliner in the mid seventies.